Great soft shell! Keeps the wind off me when I'm out on the water in the summer. The jacket has a great fitting hood that stays on and doesn't get blown off. That's my favorite thing about it. Nice pocket placement. I have extra room for layering also when it is cold. You can't go wrong with this one. 5 stars for the function it was designed for. That said, I use it for everything: golf, skiing (spring skiing), riding, hiking, running, anywhere I think I might get wet, but i'm not sure, and I'm not really out to get drenched. Packs small, superlight, and if you do get soaked, dries out fast (I was jogging in 60'F weather with ~50% humidity and I'm sweating like a pig and it starts to pour. Most of the jacket was soaked inside and out, but as soon as the rain stopped and I opened up the vents, I dried out in 15 minutes, awesome). Truly, get this for any activity where you need a full range of motion but don't want any encumberance or binding to inhibit movement, needs to breathe and let you sweat it out, don't want it to take up alot of space, need durability, windstopping power and basic watershedding capabilities. This is a jack of all trades lightweight shell, can't top it for its ability to do everything. I live in the great Northwest US, and needed something for the frequent dashes out-of-doors, as well as for the mountain trips to hike, snowshoe, and just kick around town on the weekends or go to the coast with. 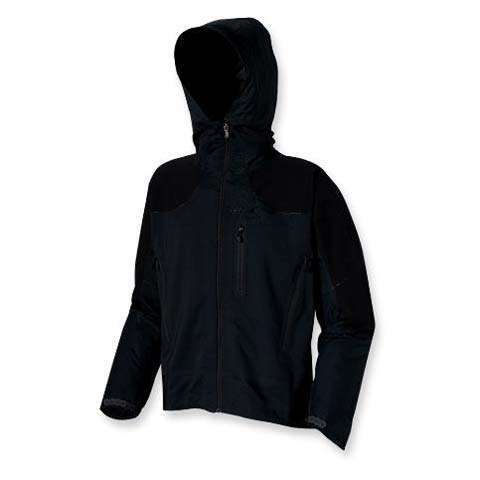 This jacket does it all, and is the ideal jacket for moderate conditions such as wind up to 20mph or so, and rain for about 10 min. I have to confess, the water-resistance is the main issue I have with this jacket, but I did not expect it to be waterproof... Just as long as you don't expect it to act like a hardshell in the rain, you will be thrilled with it. The arms seem to soak through first, in about 10-15 minutes of medium to heavy rain, and then after about 25 minutes it seems like the lower shoulder blade area on the back is the next thing to go. The ventilation is wonderful, and very easy to adjust the comfort with activity and weather. Easily layered underneath. The hood is one of the best I have used for visibility and adjustibility. 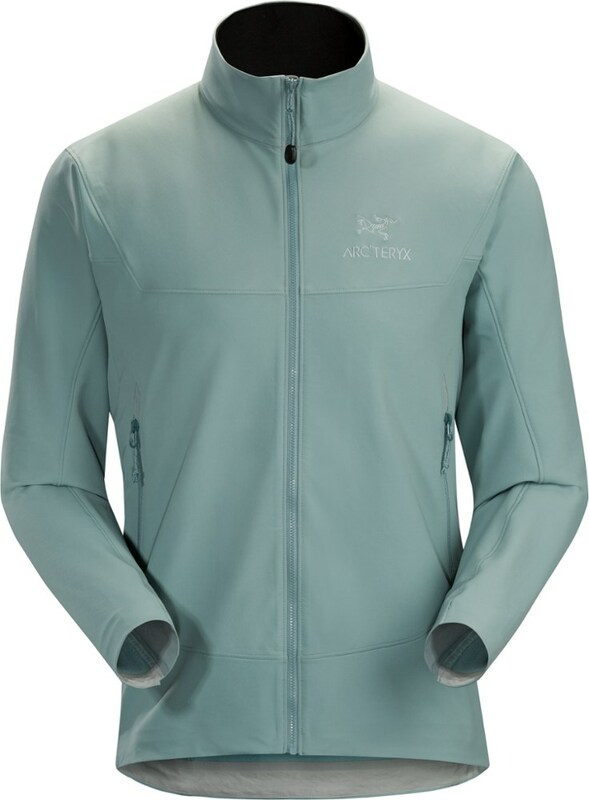 Perfect jacket for around town, aerobic activities where you might want protection from wind and light rain or snow, and the ability to pack it wherever you go as it is incredibly lightweight. 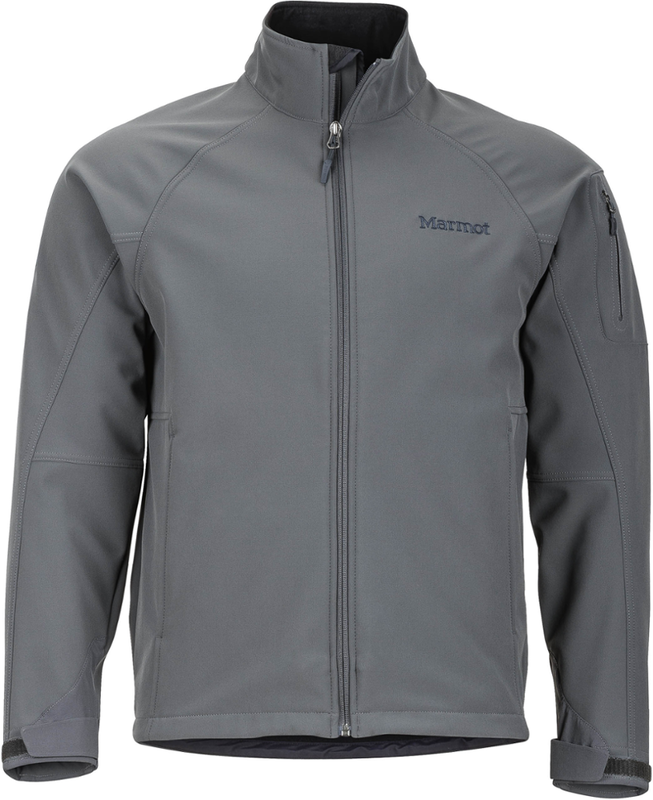 The perfect minimalist jacket that performs like a much heavier jacket. I bought the Ready Mix as a lightweight replacement for an old North Face 3-ply Gore-Tex shell that was a bit too heavy-duty for the conditions I was encountering while backcountry skiing. I wanted something soft to the touch, yet water repellant enought to hold up under wet Sierra snow fall. The old Gore-Tex really feels like a suit of armour in comparison; the Ready Mix feels phenomenal to touch and wear. 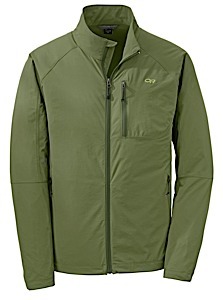 I started using the jacket while running up hillsides carrying packs with 25 lb loads (11 kilo). In the rain, the DWR coating just sheds water like a duck's back. 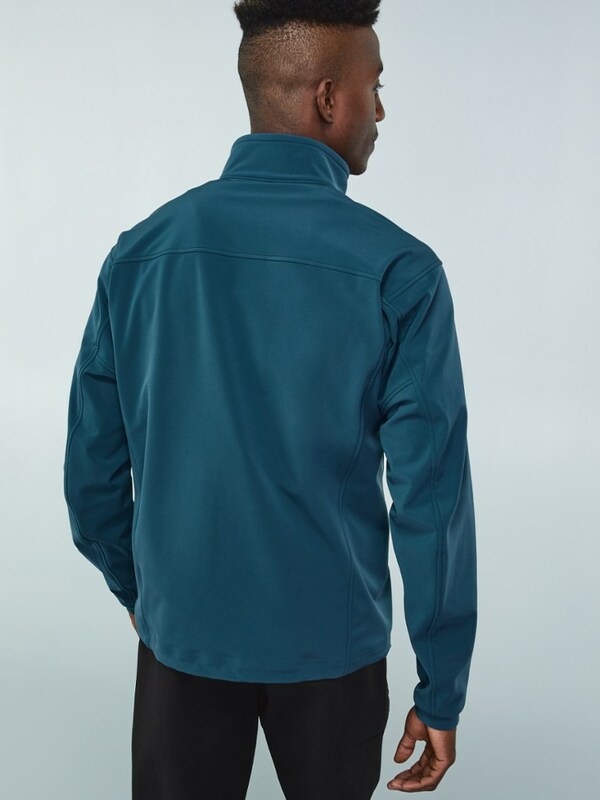 Although only time will tell if a brand new DWR coating holds up against prolonged moisture, at first glance this jacket seems able to cope admirably. I also found the Ready Mix functioned in a far broader temperature range than my old NF, and worked pretty well even without traditional pit-zips (only the front torso pocket-vents). I found myself getting far less sweaty and since I didn't need to be unzipped all the time, I was also less affected by heavy mists and wind. As a result, I got less cold when stopped at rest. 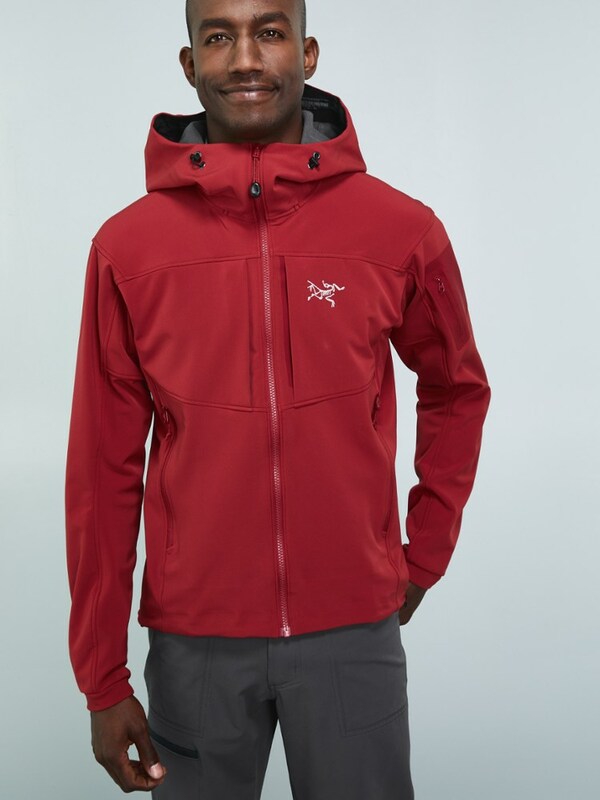 When used in a skiing situation, one might be better served while touring with a windstopper layer like the Mountain Hardwear Tech series over polypropylene (if that). But when the wind really kicks up and the snow falls, a shell like this just rules. I should probably mention that I wear a high-waisted bib that makes a shorter length jacket like the Ready Mix more practical (my old Gore-Tex jacket extended halfway to my knees). All my layers fit under this jacket comfortably, though I only put them all on while sitting inside my tent (and then, only when I'm not in my sleeping bag cooking -- in short, rarely). Usually, I wear polypro, Mountain Hardwear windstopper Tech jacket, Montbell inner jacket, Ready Mix (comfortable to around 10 degrees or less). Compared to my bomber NF, the Ready Mix seems 'insubstantial.' But when light is right, you can't really lug the heavy artillery. All lightweight gear seems flimsy at first, and you may have to baby it a bit more. The thing to watch out for on this jacket would be the main zipper. It's a scary proposition to imagine you're in the middle of the unknown and it fails, since there is no backup closure system. 1. How much wetness am I going to be in? 2. Do I trust the DWR coating, and for how long? 3. How much do I trust that thin zipper and no backups? 4. Is weight more important than bombproof? 5. Do you like to exert yourself in near-rain conditions? All in all, the Ready Mix works great for many things. I will post a report further down the line to update how the DWR finish is wearing and continue to watch the zipper for any trouble. With those reservations aside, a highly recommended piece of gear. The Ready Mix Jacket has been discontinued. 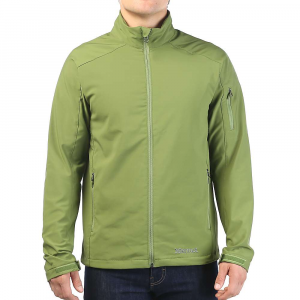 The Patagonia Ready Mix Jacket is not available from the stores we monitor. It was last seen December 9, 2009	at Backcountry Outlet.